Information submitted in a nomination letter to the U.S. National Ski Hall of Fame by Enzo Serafini, Ski Hall of Fame Committee. An outstanding jumper in eastern, national and international competitions during the 1940s and an indefatigable worker for the U.S. Ski Association, Ralph Townsend is perhaps best known as the head ski coach of Williams College for over three decades. Born in Lebanon, New Hampshire on December 18, 1921, Ralph J. Townsend was a resident of Williamstown, Massachusetts for over three decades. He was known both as a ski athlete and a ski sport builder. Townsend was the product of two Hall of Famers: the late Erling Heistad who coached him at Lebanon High School and Edward Blood who was Townsend’s mentor at the University of New Hampshire. Ralph starred for the Wildcats team during the University of New Hampshire’s glory days in the early 1940s. Hall of Famer, Al Merrill, was a Townsend teammate in 1941; Merrill, Curt Chase and Steve Knowlton were teammates in 1942. Although Townsend matriculated at the Durham institution in the fall of 1939, World War II intervened to delay his graduation until 1949. Like his brothers, Richard, Harold and Paul, Ralph was a stellar interscholastic performer for Heistad’s all-conquering Lebanon High ski teams. Moving on to college, Ralph became Eastern cross-country champion in 1941 nordic combined champion in 1941 and 1946, Eastern slalom and alpine combined champion in 1947 and national nordic combined champion in both 1947 and 1949. He represented the United States in its 1946 nordic ski team duel with Canada, was a member of the 1948 U.S. Olympic ski team and the 1951 U.S. F.I.S. ski team. Along the way Townsend gathered numerous other lesser interscholastic, intercollegiate, state, eastern and regional titles. During World War II, the diminutive, 5’2’ staff sergeant Townsend served with the 10th Mountain Division in Italy. Wounded severely in combat, he received the Purple Heart but was told he would never ski again. In spite of that prediction, he went on to win the U.S. four-way championship twice while racing for the University of New Hampshire. Townsend moved into the organizational and promotional phases of skiing in 1950. The scope and intensity of his participation staggers the imagination. He became head coach of the Williams College ski team in 1950, guiding its destinies for over two decades, until his retirement in 1972. Townsend holds one of the longest ski coaching tenures on record, on a par with Walter Prager at Dartmouth, Willy Schaeffler at Denver and only six years less than Ed Blood’s record of 28 years at the University of New Hampshire. During his coaching years at Williams, Townsend developed a number of notable performers and instilled a love of skiing in untold hundreds. Shortly after his arrival, he led the team to Division 1 status and forged a place in Williams’ history with his leadership of the ski program. In 1961, he built the college’s ski area on Berlin Mountain with two jumps, a downhill trail and giant slalom slope. This college training ground was renamed the Ralph J. Townsend Ski Area in his honor. During his time, he was a one-man coach for the skiers in all four: downhill, slalom, jumping and cross-country. He was also in charge of the Williams Outing Club whose members organized and staffed the college’s well-known winter carnival. In Townsend’s era, the carnival was such big news that reporters came from New York and Boston to write lengthy stories for their papers. Like a four-way eventer in ski administration, Townsend gave countless hours to organized skiing; serving on the Rules Committee when the Eastern Intercollegiate Ski Association was formed in 1950, was president in 1958, 1959 and 1960 and served on many of the organization’s committees and was part of the EISA Executive Committee from 1956 to 1972. He was secretary of the National Collegiate Athletic Association in 1962-64 and 1969-73. He sat on the NCAA Skiing Rules Committee in 1960-64 and 1969-73, was director of the U.S. Eastern Amateur Ski Association in 1951-52 and was a member of its cross-country committee for many years and its chairman in 1959-60. Both an alpine and nordic official, he was coach of the ESA’s national nordic team in 1960. Townsend also spent many years on committee work for the U.S. Ski Association: Olympic Ski Games, 1960-64; International Competitions, 1961-64; Intercollegiate, 1961-65; Coaches System, 1965-68; Nordic Competitions, 1959-60 and cross-country for many years He was also a member of the National Ski Patrol, a patrol leader and a certified ski instructor. His career was earmarked by ability, versatility and dedication. 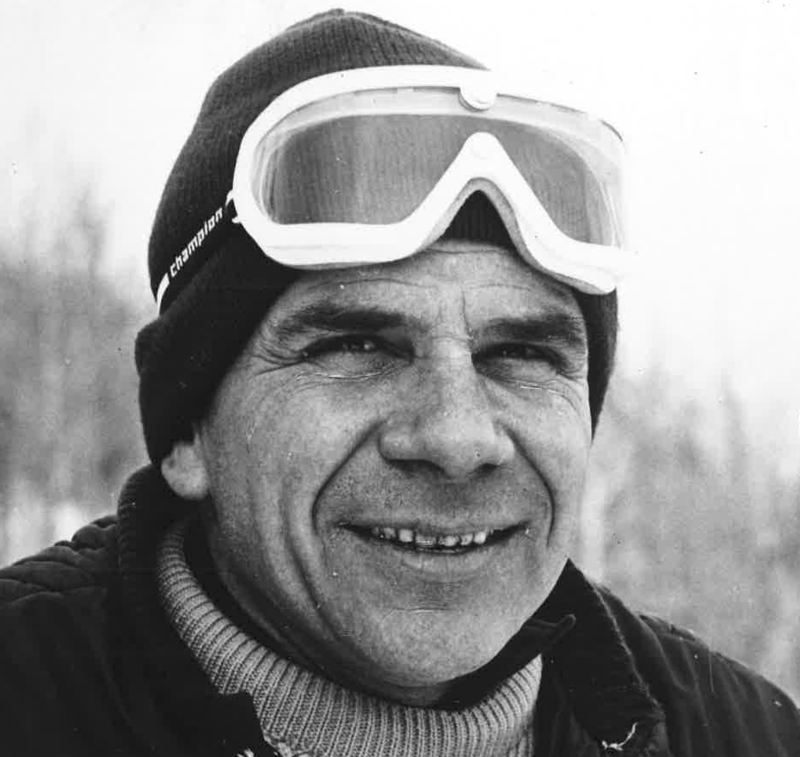 Ralph Townsend was elected to the U.S. National Ski Hall of Fame in 1975. If you notice any errors or inconsistencies in Ralph Townsend's bio, click here to let us know.